NIU’s Mortar Board Senior Honor Society and Student Association will host its annual Last Lecture series at 9 p.m. Wednesday, Nov. 16, in the Illinois Room of the Holmes Student Center. Jeanette Rossetti, a professor in the NIU School of Nursing and Health Studies, is the speaker for the evening. Rossetti, who teaches courses in mental health nursing , joined the faculty in the College of Health and Human Sciences in 2000. She completed her doctoral degree at NIU in 2002, focusing on adult education. 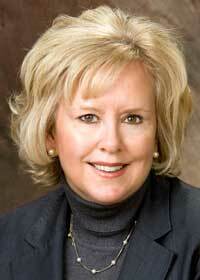 In 2009, she won NIU’s Excellence in Undergraduate Teaching award. In 2010, she was chosen to serve on the newly formed American Psychiatric Nurses Association Child and Adolescent Council. Earlier this year, she received a prestigious Nurse Educator Fellowship Award from the Illinois Board of Higher Education. The event is free and open to the public. For more information, call (815) 753-0483 or email studentassociation@niu.edu.